Happy Holidays From Bing | ASTRALCOM - Content Strategy, Conversion Marketing and Customer Acquisition. Being Bing-certified has advantages. Especially, if you’re an ASTRALCOM client. 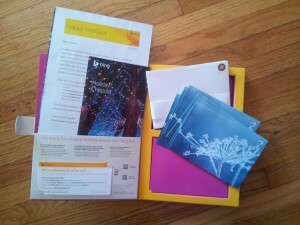 Checkout this Holiday Package we received from Bing. 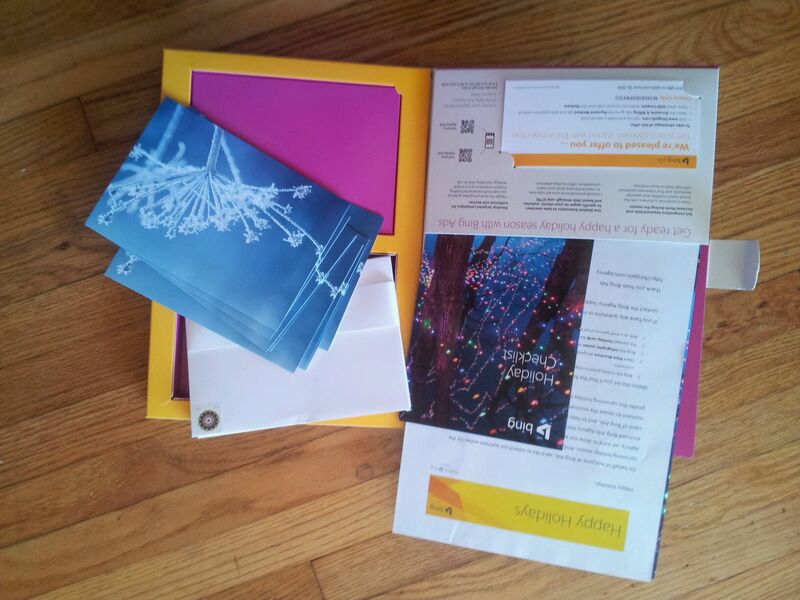 It includes some Holiday Cards, a cool Bing pen and two $50 search marketing credits. Who wants them? First come, first served! Typically, our Bing/Yahoo SEM pros turn click-thru ratios (CTRs) of better than 5% when running Bing/Yahoo campaigns. That’s a whopping 900% better than the industry average! If you’re doing paid search campaigns and Bing isn’t in your mix, it should be. Reach the other 33% of searchers looking for what you’ve got. 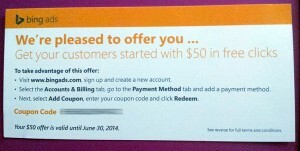 Start a Bing paid search campaign today – and get $50 in search marketing credits as a bonus. First come, first served. So act fast! Call Richard at 1.800.536.6637 x 1 or click here.